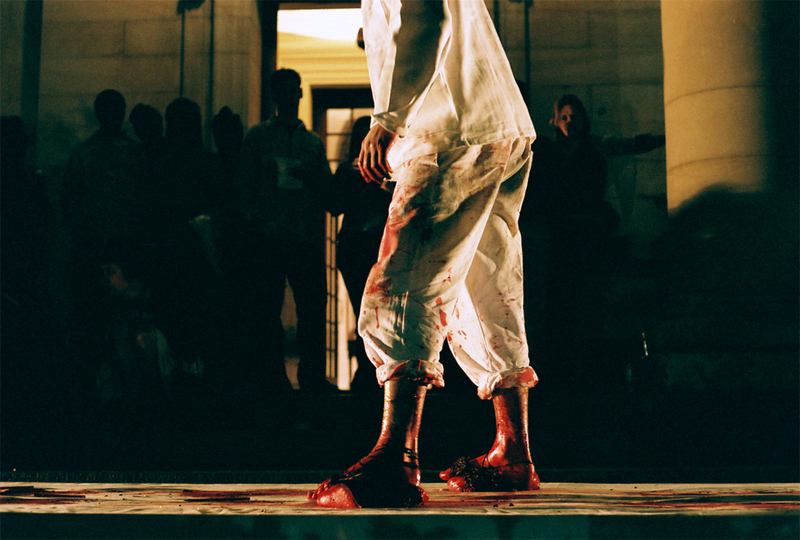 Performance held as part of “Intervention”, part of a series of group exhibitions curated by Hanli Becker, Simon Gush & Hannes Steyn in honor of South Africa`s Decade of Democracy at the Johannesburg Art Gallery, Johannesburg (2004). 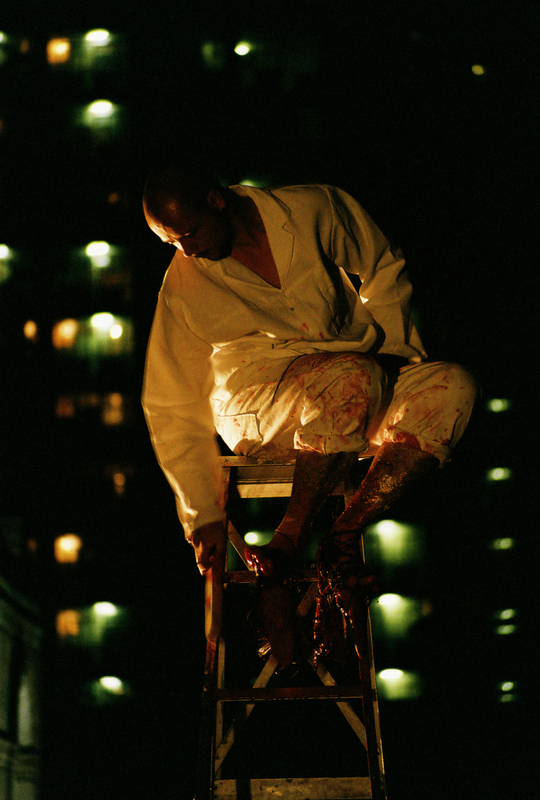 For two hours the artist repeated a series of actions, creating a pathway out of blood between a ladder and a bucket of blood. These actions were all focused on his feet implying something of a journey: between the ladder and the large bucket containing blood were a number of stainless steel vessels all containing different materials such as honey, pencils, chalk powder, gold leaf. The artist covered his feet with these material as he traversed the path repeatedly. 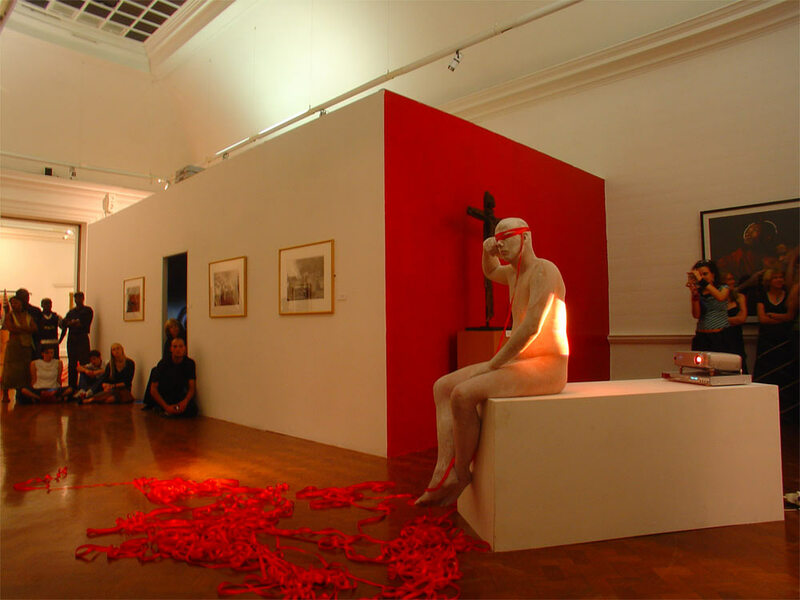 Performative installation executed as part of “Conciliation”, part of series of group exhibitions curated by Hanli Becker, Simon Gush & Hannes Steyn in honour of South Africa’s 10 Years of Democracy at the Johannesburg Art Gallery, Johannesburg, 2004. 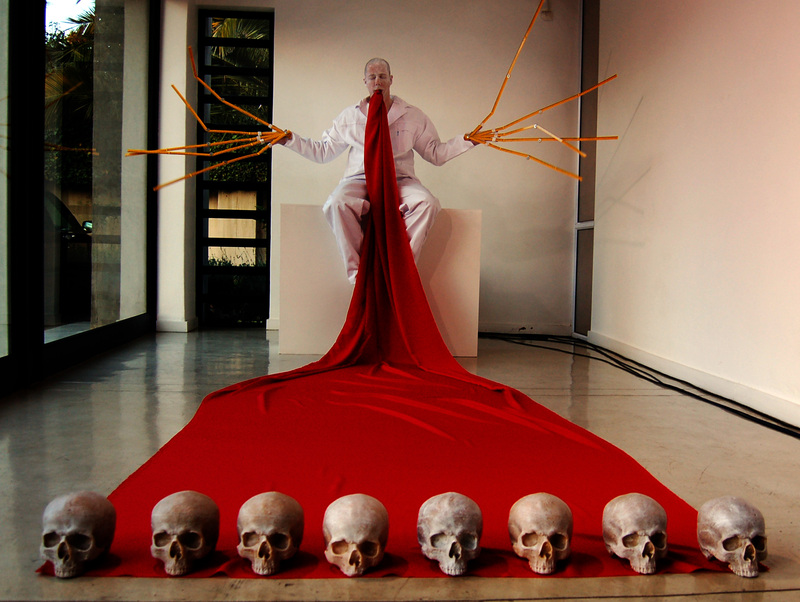 A one-off performance held at Gallery MOMO, Johannesburg, on 11 June 2006 2006 as part of a sound sculpture created by various artists including Dinkies Sithole, Shane de Lange, Nathaniel Stern and Joa Orrecio. The event was held as part of the annual commemoration of Youth Day on 16 June and curated by Johan Thom. 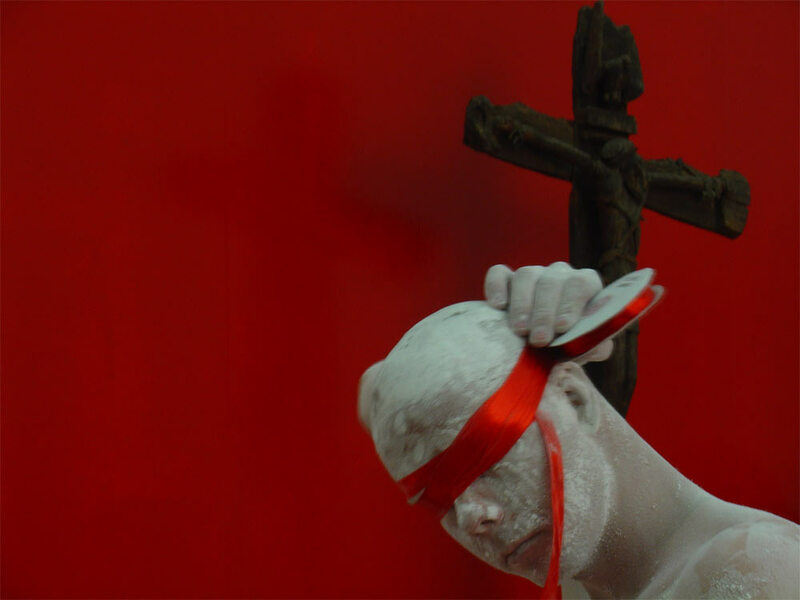 Also see OUTPOST 4 (2008) filed under the Video/ Installation Section or click here.